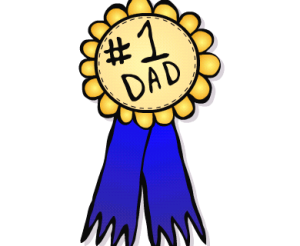 Home Cherry Hill News The Cherry Hill Sun wants to know: What makes your dad great? The Cherry Hill Sun wants to know: What makes your dad great? He was there when you took your first step, rode your first bike and caught your first baseball. He was the one you called when you aced that calculus exam. He walked you down the aisle on your wedding day. He became an amazing grandfather to your kids. He’s your one and only dad, and this Father’s Day, The Sun wants to celebrate with your stories. What makes your dad the best? From “he grills the best burgers” to “he helped me buy my first house” and everything in between, we want to know. Tell us why your life is better because of your dad. Dads aren’t always determined by biology, either. Maybe you have another influence in your life you would like to celebrate on Father’s Day. Maybe your uncle helped raise you. Maybe you’ve watched your best friend become the world’s best dad to his own kids. Maybe you’d like to say thanks to that teacher who made all the difference. Whoever it may be, share you story with The Sun. Send in your Father’s Day story, and a photo of you and your dad, to our news email, which is listed to the right. Watch for your stories in an upcoming issue of The Sun.